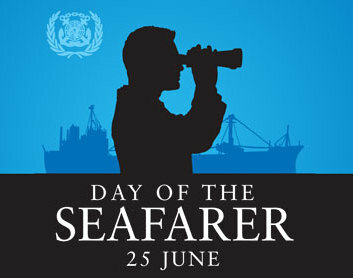 IMO will be celebrating the fourth edition of its global campaign: Day of the Seafarer, held every year on 25 June. The decision to establish 25 June as International Day of the Seafarer was taken at a diplomatic conference in Manila, Philippines, where milestone revisions to the International Convention on Standards of Training, Certification and Watchkeeping for Seafarers (STCW) and its associated code were adopted. Seafarers are the people without whom food, clothes, gifts, gadgets or even basic needs would not reach our doors. We rely on them every day. Yet have you ever said thank you to a seafarer? Chances are you haven't.